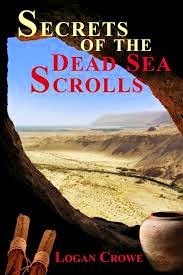 Logan Crowe's "Secrets of the Dead Sea Scrolls" is a historical fiction novel about one man's valiant efforts at protecting religious scrolls from the Romans. Something I love about the book is that it is not a linear story. You are given a bunch of different perspectives. Many of the perspectives are at different locations and time periods. As someone who has read a bit of the Bible, I enjoyed seeing the Biblical figures in the story (e.g. Lazarus). Crowe clearly did a lot of research and background reading while coming up with this story. That said, the fiction elements of this book, the characters and plot, are fresh and engaging. Crowe writes in a way that is descriptive yet flows well, so the book is a relatively quick read. At the end of the day, this is a fun historical fiction that anyone who likes history and a good story will enjoy.